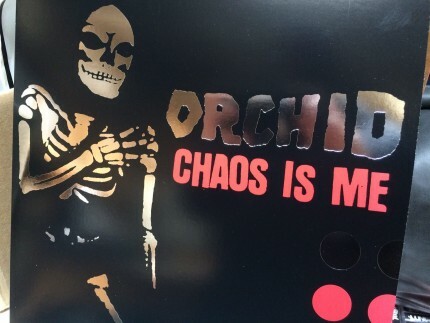 Related links to "Orchid - Chaos is Me LP 20th anniversary edition!" USA-Import!!!! Orchid - Chaos is Me 20th anniversary edition! In 1999 Ebullition released the Orchid - Chaos is Me LP. At the time Orchid was a fairly new and unheard of band. It was the 45th release on Ebullition, but over time it became the most popular band and record that Ebullition ever had the privilege of releasing. In honor of this, in 2019 Ebullition has decided to releases a special limited edition 20th anniversary version of this monumental LP. Colored vinyl and a special foil printed cover with all of the grey elements from the original cover replaced with the silver foil.